One of their other specialties is the “Hot Chocolate Lounge” with over ten different flavors from Fiesta Fireball to Chocolate Chai. There is also a daily special from 7-11 a.m. offering a Beijo size (medium) coffee with a giant donut for under $2 every day. According to another employee named Krunch, medium is the most popular size for drinks at other cafes, so they named their medium “Beijo.” Now when customers order their medium drinks, they will get the store name on their mind. Every Saturday is a big day with special crepes and quiches. The store gets crowded fast, so customers should arrive early. One of the most popular items for all occasions but especially Valentine’s Day and Mother’s Day are the handmade, hand-painted chocolate boxes. There are heart shapes, teddy bears and a few other designs. The boxes are made out of chocolate. Everything can be consumed, plus it’s filled with truffles. They recently started taking orders online and can now ship their chocolates around the country. The store enters major chocolate shows every year around the country. 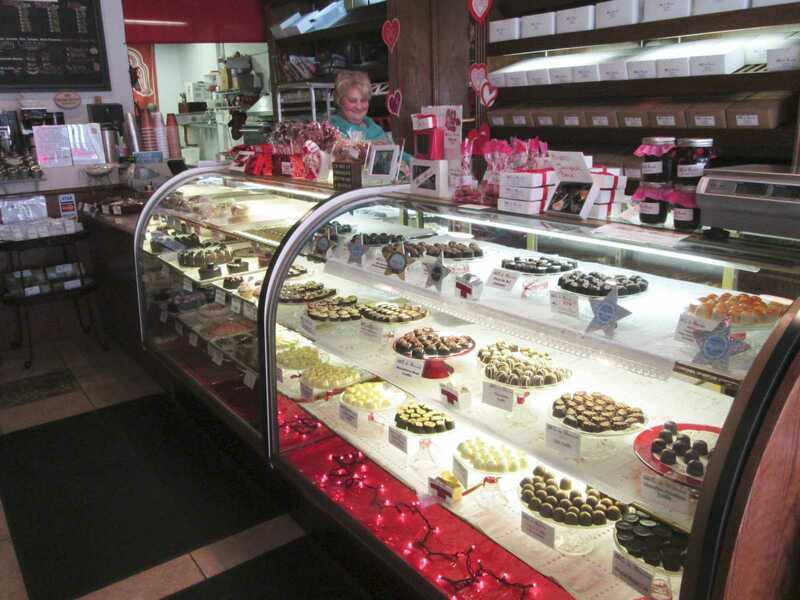 “We’re really excited,” Case said, “We’ve done very well and won many awards.” Beijo de Chocolat was also voted ‘One of the best chocolate shops in the country’ for the last three years. Some people even have an addiction to chocolate. “Clearly it’s a brain thing. There’s a chemical in the chocolate that people crave, especially a really fabulous dark chocolate,” Case said. “There’s nothing quite like it. It’s beautiful and it can be addicting.” Case said there are customers that come in and say, “I need a little hit” so she started making little bags of tiny solid dark chocolates and they call them ‘The Quick Fix.’ Customers enjoy the chocolates and get a good laugh out of it. The store is located at 3334 W. Foster Ave. and is open Mon-Fri 7 a.m. – 5:30 p.m. and Sat. 8 a.m. – 4 p.m.